As the area’s leading in-home care provider, we offer the very best, compassionate care for the elderly, and people with special needs. It is our goal to improve the physical, emotional and spiritual wellness of the people we serve, and that is exactly what we do – every day. With a number of services and experienced in-home care providers, we can tailor a program specifically for the needs of each individual. 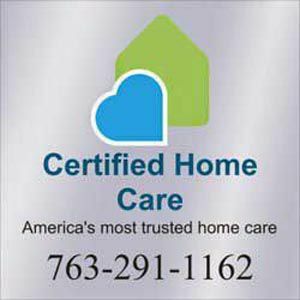 To learn more about Certified Home Care, contact us today.